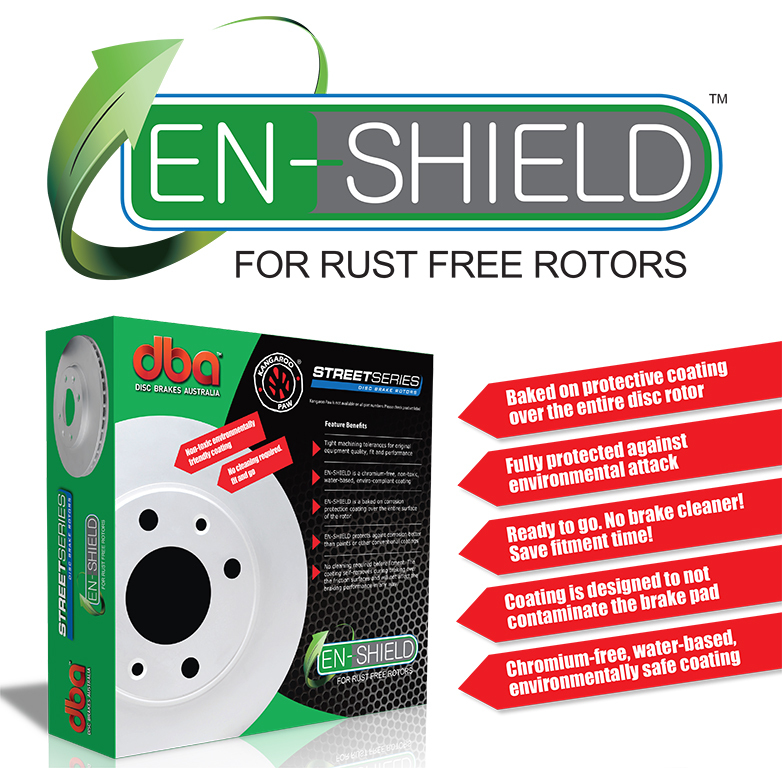 DBA’s EnShield technology has been introduced to the Street Series range to provide rust free rotors. The EnShield process begins with a DBA Street Series Direct Replacement rotor, where a zinc/aluminium water-based coating is applied to the entire rotor surface and is then baked on. The result protects the rotor from corrosion and keeps it looking good during its service life. EnShield alleviates the need to clean rotors prior to installation, saving fitment time and preventing rust! EnShield rotors are denoted by the suffix (E) in Street Series part numbers.